The new full-frame Pentax K-1 is full of features that landscape photographers—especially star chasers—will love. During my last trip to Africa I had some time test out the much acclaimed astro tracer function of this camera. 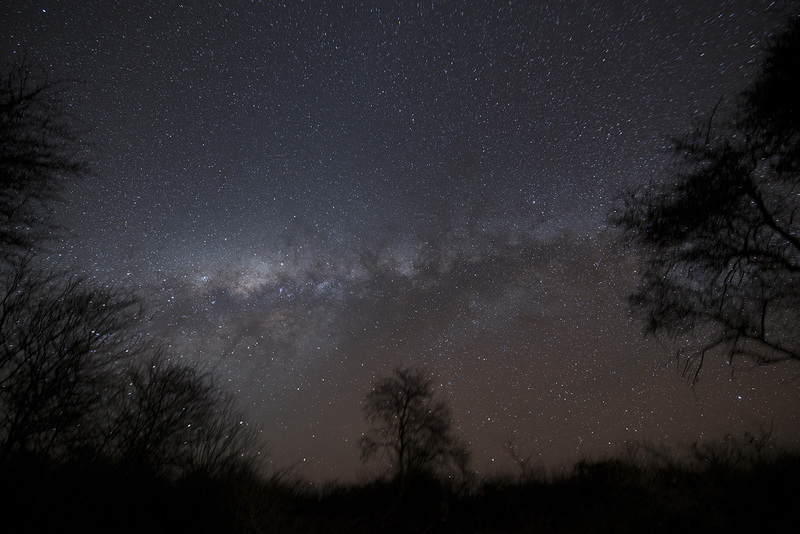 When we are aiming to create stunning images of the nights sky, we always have a struggle with our exposure time. As a rule of thumb, we need to keep our exposure under 30 seconds or our stars will turn from points into stripes. In order to keep our exposure below these 30 seconds, we use light sensitive lenses (often not the cheapest option), or we crank up our ISO, which may lead to unnecessary noise in our image. Thanks to the new Pentax K-1, for star trackers, astronomers or at least for some astrophotographers, this struggle may become a thing of the past. The Pentax K-1, includes an ingenious system that will eliminate the need to carry extra hardware in order to capture a perfect image of the milky way. The K-1 includes a sensor that can shift position in several directions (as well as tilt). The regular use for this movable sensor is to reduce blur when shooting long exposures or when the photographer is moving, but combined with the camera’s electric compass and onboard GPS, it means the K-1 can create photographs as tack-sharp as anything that comes from a system mounted to a tracker. Point the K-1 at the stars, and the system, dubbed AstroTracer, can track the stars without having to first orient the camera to Polaris, which you have to do with a star tracker. 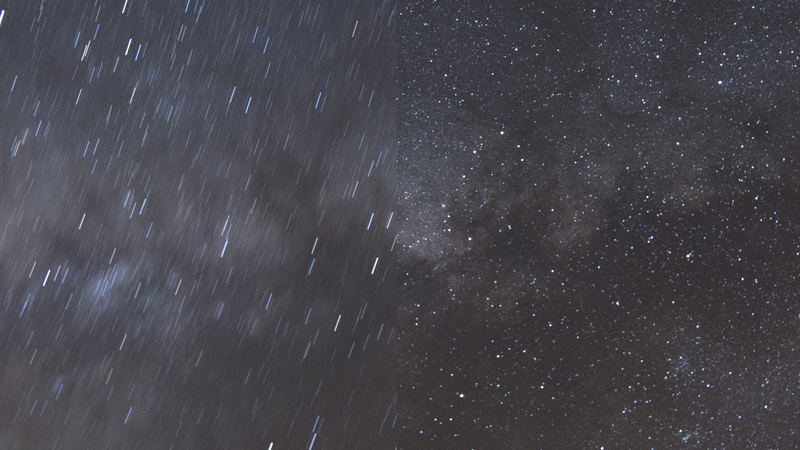 In astrophotography mode, the camera can capture exposures up to five minutes long, at which time the planet rotates more than the sensor’s shifting abilities can keep up. As you can see in the image above, the surroundings are tack sharp, while the stars are reduced to blurry shapes. Not what we are after! The image with astrotracer activated gives a very clear image with minimal noise levels and pointy stars, even at an exposure of 3 minutes! The Pentax K-1 isn’t a one-trick pony, though, packing a number of features and advances into a substantial, but comfortable DSLR body. The K-1 is dust- and weather-sealed, with 87 individual seals, and will operate down to -10 Celsius. In a nod to those who operate at night, the body has a built-in LED light that illuminates the camera mount, the rear of the LED panel and the controls, allowing for easy lens-changing in complete darkness. It also features an easily adjustable brightness setting to dim the LCD to prevent losing night vision. Wish to keep in touch? Like my facebook page here.